Tata Steel Bara Tertiary Treatment Plant has won the prestigious 'Industrial Water Project of the Year 2019' Award by the Global Water Intelligence (GWI). Dr. Mireille Rack, Life Cycle Assessment Specialist from Tata Steel Europe received the award on behalf of Tata Steel at an event held at Natural History Museum, London on Tuesday, April 9, 2019. The 30,000 cubic meters a day (m3/d) tertiary-level treatment plant commissioned in 2018 has resulted in a 16% cut in the intake of fresh water from the Subarnarekha River. The award-winning tertiary-level treatment plant was built to reclaim effluent from the Bara wastewater treatment plant in Jamshedpur for reuse by Tata Steel. The plant, implemented by Tata Steel's civil utility wing JUSCO (Jamshedpur Utilities and Services Company), will benefit Tata Steel and the adjoining industries in Jamshedpur. The Ultra-Filtration treatment plant is part of Tata Steel's ambition to make Jamshedpur the first zero liquid discharge city in India. Since the completion of the facility, the entire city's collected sewage effluent, from both domestic and industrial sources, is gathered and reused by the city's extensive industrial complex. To improve city's rate of collection of untreated industrial and domestic waste, JUSCO laid a 500-km sewer pipeline and built ten automated sewage pumping stations and control centres, thus transforming the sewerage service coverage for the city. Tata Steel is committed to play a leading role in conservation of water and significantly reduce its impact on water. The Jamshedpur plant has doubled its annual capacity over the last 10 years from 5 MnT to 10 MnT (million tons). Tata Steel is committed to reduce its freshwater consumption by 50%. Established in 2006 by Global Water Intelligence, the awards recognises the most important achievements in the international water industry under several categories, and reward those initiatives in the water, wastewater and desalination sectors that are moving the industry forward through improved operating performance, innovative technology adoption and sustainable financial models. 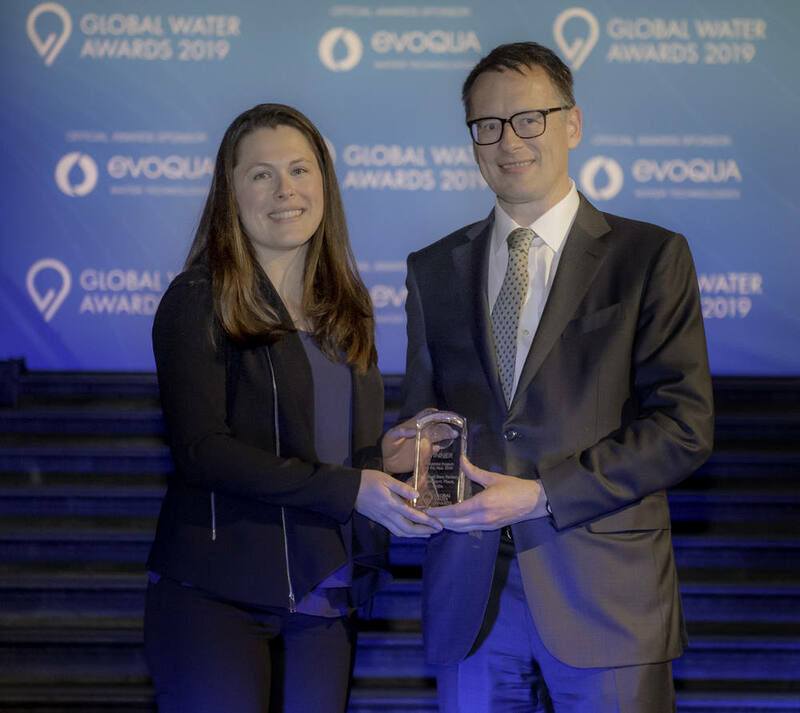 Nominations for the Global Water Awards are shortlisted by a panel of industry experts, and the winners voted for by Global Water Intelligence and Water Desalination Report subscribers, reflecting the views of the international water community. Statements in this press release describing the Company's performance may be 'forward looking statements' within the meaning of applicable securities laws and regulations. Actual results may differ materially from those directly or indirectly expressed, inferred or implied. Important factors that could make a difference to the Company's operations include, among others, economic conditions affecting demand/ supply and price conditions in the domestic and overseas markets in which the Company operates, changes in or due to the environment, Government regulations, laws, statutes, judicial pronouncements and/ or other incidental factors.